I conducted a study of the Toshidon event held on New Year’s Eve on Shimo-Koshikijima Island in the city of Satsumasendai, Kagoshima Prefecture, in which deities are said to visit bringing good luck. Koshikijima no Toshidon was named an Important Intangible Folk Cultural Property of Japan in 1977, and in 2009 it was added to the Representative List of the Intangible Cultural Heritage of Humanity by UNESCO. 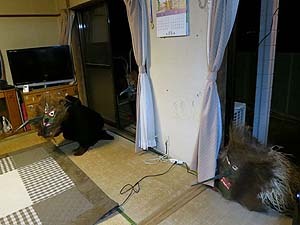 The Toshidon deities are said to visit on the evening of December 31, riding headless horses. Children of ages three through eight come out to meet them in the living rooms of their homes. The deities emerge from the darkness accompanied by low, groaning voices saying “Oruka, oruka” (“Is anybody there? Is anybody there?”) and the sound of a hand bell, appearing in the corners of the living room and questioning the children. They both scold and threaten the children for the bad things they have done over the year and praise them for the good things they have done, along with having children show off their own talents such as singing, dancing, or multiplication tables and praise them for how they do. Lastly, they admonish the children to be good and give them large rice cakes called toshimochi, before disappearing. This is a deeply frightening experience for small children, and some run away in tears, but after successfully completing the questions and answers they seem relieved, feeling as if they have accomplished something. I also was impressed by the way other family members too are moved to tears, perhaps as a result of thinking about the children’s growth. People in the local community consider the Toshidon an educational event for children, and it probably could be said that in one aspect this event has continued to the present day thanks to the way this meaning of the event, easy to understand in contemporary society, has been discussed and shared in the community. 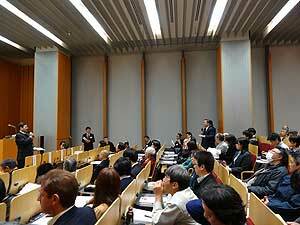 However, it is a fact that there are many issues regarding the continuation of this tradition. The biggest problem is the low birth rate, as only four of the six designated Toshidon conservation associations conducted the event this year. Even in the Teuchi Motomachi conservation association, which I accompanied on its rounds, only five homes were visited this year compared to a number of 10 homes up until a few years ago, and two of these five were grandparents’ homes where grandchildren were visiting for the holiday. Another major issue is how to balance the tradition with tourism. 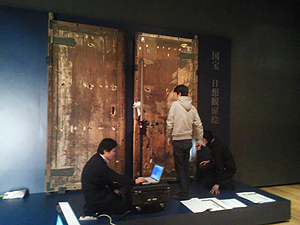 Since the Toshidon being named an Intangible Cultural Heritage of Humanity in 2009, the Motomachi conservation association has actively accepted researchers and other visitors coming to view the event. This year, the group was accompanied by about 15 onlookers, including myself. As the Toshidon becomes well-known in Japan and around the world and attracts the interest of many people, this provides significant motivation to the local community to continue the tradition and also serves as a tourism resource. 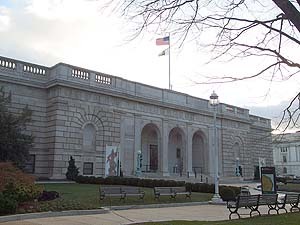 However, at the same time I sensed that an important issue in the future would be that of how to preserve and balance its significance and atmosphere as a religious observance and ritual. 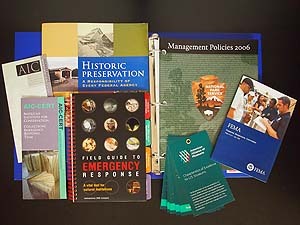 On Thursday, January 24, the Center for Conservation Science and Restoration Techniques held a study meeting in a seminar room at the Research Institute on the theme of deterioration and repair of paint and other coloring materials in architectural cultural properties, one subject involved in traditional restoration materials. 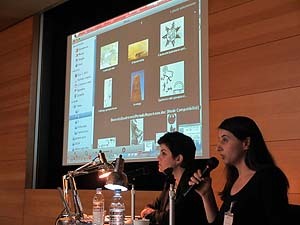 The content of this study meeting could be described as a continuation of the third study meeting held in FY2009, on current conditions and issues in study and repair of lacquers in architectural cultural properties, and the fifth in FY2011, on study and repair of traditional paints in architectural cultural properties. Historically, paint and other coloring materials such as those on the exteriors of architectural cultural properties have been subjected to repeated repair because they are liable to material degradation and bio-degradation in Japan’s climate. This study meeting provided the latest information on various issues related to these matters, from the individual perspectives of conservation and restoration science (paint and coloring materials and biology), structural repair sites, and administrative guidance. 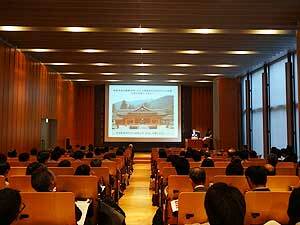 First, KITANO Nobuhiko of the Technical Standard Section discussed deterioration of paint and coloring materials, and then KIGAWA Rika, head of the Biological Science Section, identified topics related mainly to insect damage at the Shrines and Temples of Nikko World Heritage Site and mold damage at Kirishima-Jingu shrine, as examples of biodegradation of materials including paints and coloring, as well as examples of responses to such damage. Next, SHIMADA Yutaka of the Cultural Properties Division in the Department of Guidance of the Kyoto Prefecture Board of Education reported on examples of repairs to the paint and coloring of Iwashimizu Hachimangu Shrine and to the paint of the Phoenix Hall of Byodoin Temple, and HARASHIMA Makoto of the technical office of Itsukushima Shrine reported on an example of repairs to the paint of the main building of Itsukushima Shrine. Lastly, TOYOKI Hiroyuki, Architecture and Other Structures Division, Agency for Cultural Affairs, described an overview of the fundamental concepts behind repairs to paint and coloring materials currently conducted by the Agency. The meeting was well received by participants, who showed high levels of interest in the content of its themes because they were directly related to repair of paint and coloring materials. 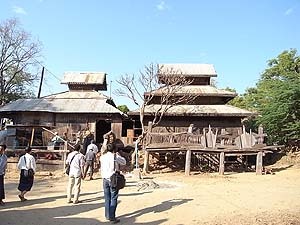 Since 2001, the National Research Institute for Cultural Properties, Tokyo has jointly conducted studies and research on conservation of cultural properties made of stone, with its main field being the Ta Nei site in Angkor, Cambodia, together with the Authority for the Protection and Management of Angkor and the Region of Siem Reap (APSARA). 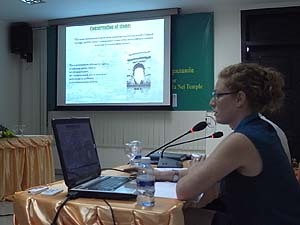 This seminar, with the participation of experts from Japan, Cambodia, Italy, and South Korea who had taken part in these studies, included presentations on subjects such as taxonomical research on lichens, quantitative and qualitative research on physical changes in stone materials, and research on the relationship between the environment and living organisms, as an overview of research that had been conducted up to that point to monitor and control the living organisms that flourish on stone surfaces. It also featured exchange of opinions on improving site conservation in the future. Also, the second training onarchitectural measurementwas held at the Ta Nei site from January 10 to 18. 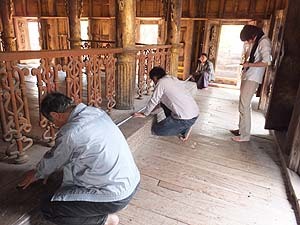 A total of 11 trainees, including two new participants from the APSARA, split into three teams to check the plans prepared in the first training in July of last year and to continue the measurement work using total stations, largely completing the plan of the central part of thetemple. 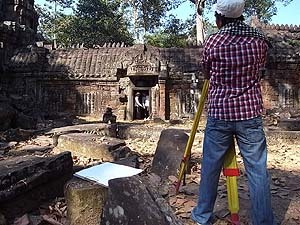 Continuation of research cooperation, including transfer of technology and human-resources development are planned, while further studying how the results of these efforts can be put to use in conservation of Angkorsites.